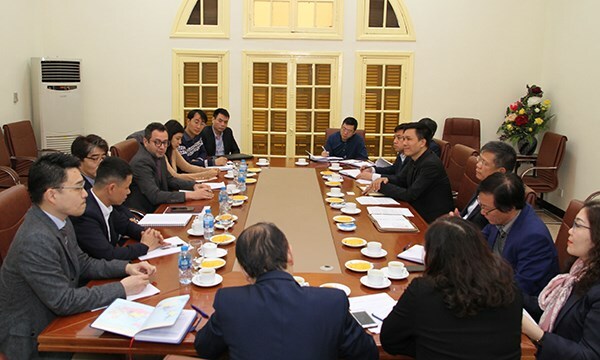 Hanoi (VNA) – The International Labour Organisation (ILO) wants to cooperate with the Vietnam Social Security (VSS), helping the later improve its operation and boost sustainable development. Meeting with VSS Deputy Director General Tran Dinh Lieu in Hanoi on March 26, ILO Vietnam Director Chang-hee Lee recommended supporting the VSS to enhance capacity in financial analysis and pension fund balance, and raise the VSS’s training ability so that it can become a regional hub for building and implementing social welfare policies. To realise the cooperation, he suggested signing a Memorandum of Understanding with the VSS in May 2019, and sending groups of experts to Vietnam to develop the cooperation project in June 2019.